Bill Martin Jr truly was “America’s favorite children’s author.” He wrote more than 300 books for children over almost 60 years, including the classic text Brown Bear, Brown Bear, What Do you See?, illustrated by his dear friend Eric Carle. Bill Martin lived the last 11 years of his life in the east Texas woods near Commerce, Texas. A Kansas native, Bill graduated with a teaching certificate from Emporia State University. He taught in Kansas and was an elementary school principal in Chicago before he moved to New York City in 1961 to work for Holt, Rinehart and Winston, where he developed the literature-based reading programs Sounds of Language and The Instant Readers. Seven years later, Bill left Holt and launched his career as a writer of children’s book and as a consultant to teachers. He lived in New York until 1993, when he moved to Texas. Through the years he gave children some of their favorite books, including Polar Bear, Polar Bear, What do you Hear? (also illustrated by Eric Carle), The Ghost-Eye Tree, Barn Dance, Chicka, Chicka, Boom, Boom and many more. Buy Baby Bear, Baby Bear, What Do You See? Buy Polar Bear, Polar Bear, What Do You Hear? Buy Panda Bear, Panda Bear, What Do You See? 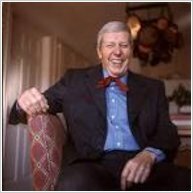 Bill Martin Jr won many awards in his highly acclaimed career, and the Bill Martin Jr Picture Book Award was established in his honor.